The Environmental Protection Agency yesterday announced its 2017 Toxics Release Inventory National Analysis. The report shows an Alaska mine is a major contributor of chemical releases in this region. But, a state agency in Alaska says the report is not an accurate representation of releases into the environment. By law, organizations have to report releases of certain toxic chemicals to the EPA each year. And the latest data show a rise in chemical releases in the EPA’s Region 10 — the Pacific Northwest and Alaska. And releases from one of Alaska’s largest mines account for a big portion of that. 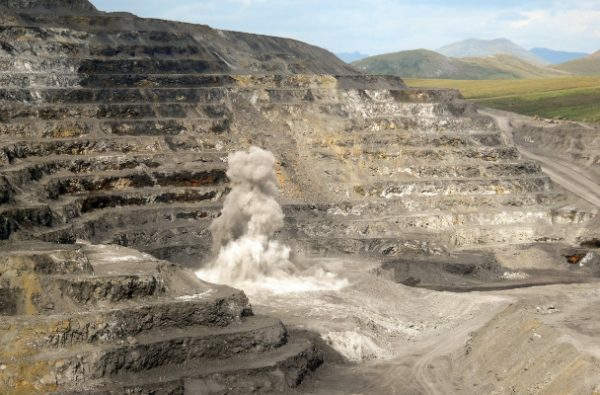 “Eighty six percent of all release quantities of TRI chemicals reported from region 10 are from the Red Dog Mine,” said Alexandra Dunn, the EPA’s Assistant Administrator for Chemical Safety and Pollution Prevention. She spoke with reporters via teleconference. According to the EPA, total releases from the Red Dog Mine increased by 43 percent from 2016 to 2017, the most recent years the agency has data for. More than 21,000 facilities around the country reported data for 2017. Chemicals included in the inventory have been determined to pose a risk to human health or the environment. Dunn cautions this data shouldn’t be looked at in a vacuum. She says just because there is a release doesn’t mean there is a risk. “Where is the release going? Is it going into the air, into the water, and or into the land? And of course we need to look at the extent and effectiveness of safeguards that are in place to prevent the movement of chemicals,” Dunn said. In Red Dog’s case, Dunn says on-site land disposal, including disposal in waste rock, accounted for nearly all of its total releases in 2017. Wayne Hall is the manager of community and public relations at Teck, the Canadian company that operates Red Dog. He says the numbers reported to the EPA come from routine, permitted, operations. Hall says when rock is mined, put in a truck and moved to the waste rock facility, the movement of rock requires reporting. “That movement of the rock, from point a to point b, even though it’s a permitted activity, on a permitted facility,” Hall said. Allan S. Nakanishi manages the mining section of the Wastewater Discharge Authorization Program at the Alaska Department of Environmental Conservation. He says the numbers delivered by the EPA do not reflect the risk of exposure to the public. But Pamela Miller, Executive Director of Alaska Community Action on Toxics, says these reported releases remain concerning, especially the upward trend. “Just the fact that this is being brought to the surface, it is a waste rock pile. It is subject to environmental exposure and erosion downwind and downstream from this waste rock facility, is still a primary concern, and I don’t think there’s any guarantee that this material is actually contained onsite,” Miller said. Hall, with Teck, attributes the increase in chemical releases at Red Dog to a greater concentration of the lead mineral galena in the rock the company is mining. And, he says, they did mine some more ore — 200,000 dry tons.